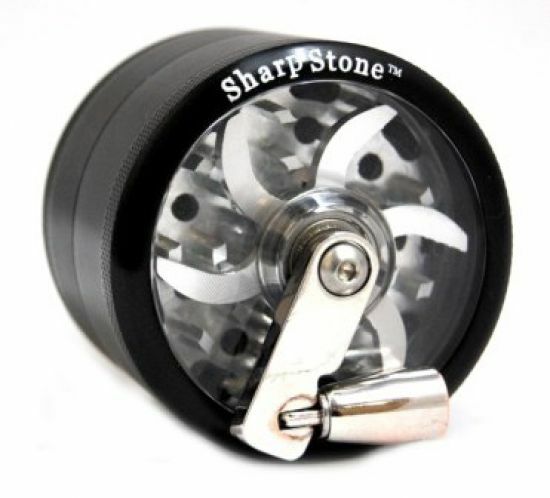 Sharpstone Mill Grinder with Handle - 2.5"
SharpStone Mill Grinder with Clear Top - 2.5"
This Sharpstone Mill Grinder comes with a special mill handle to grind your herbs. Traditionally, you would have to twist the entire grinder back and forth but now this is no longer necessary. With the special handle on this grinder, all you need to do is spin the handle to grind you herbs with even more ease. 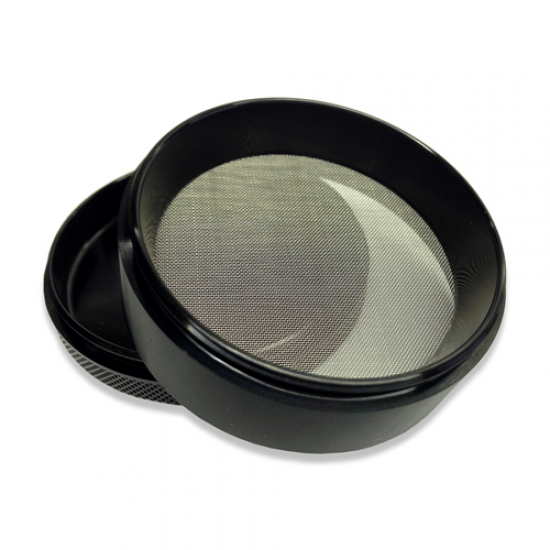 Clear see-through design, hand-made for superb quality, includes magnifying glass lid. 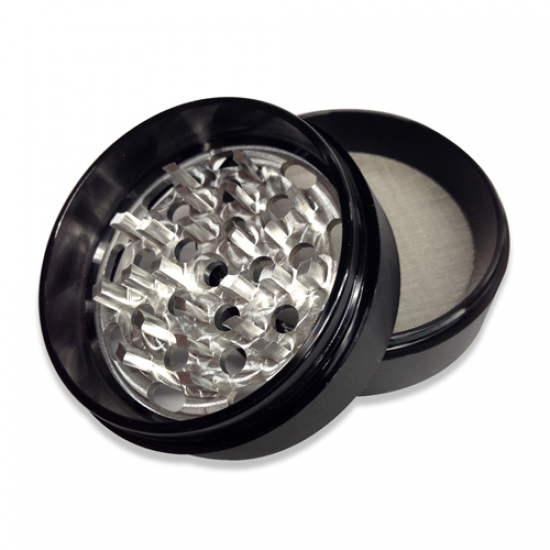 Very similar to our deluxe, heavy-duty pollen grinders-but with a new twist of the mill handle! 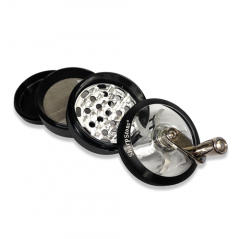 These innovative clear tops allow you to actually see the grinding action inside! 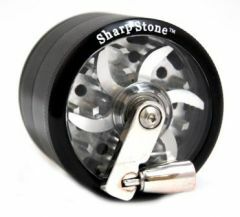 Diamond-cut teeth ensure precision grinding of all your favorite herbs. Also comes with a nifty cloth pouch for travel and a free pollen scraping tool. This grinder really tears up my material very easily. 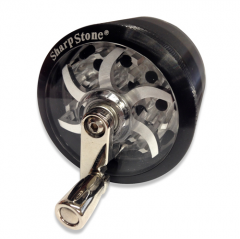 I would recommend this and the price is right!